You’re reading “The 3Cs of Fundraising” by Megan Walsh, VP of Marketing at Schoola, originally published on AKA Mom. 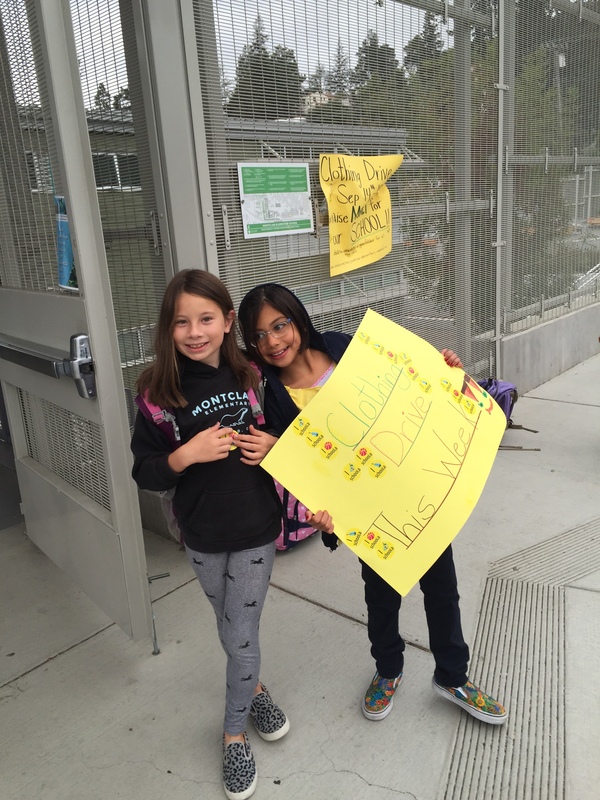 I am a fundraising rookie – my first born darling daughter just started kindergarten just two weeks ago so what do I know about fundraising, aside from the general anxiety the mere word evokes? Hello, crowdsourcing! Through my work at Schoola I am exposed to over 16,000 schools nationwide who all have their own fundraising challenges and success stories. Citizenship – There are so many companies out there claiming to be the best way to raise money – the sheer number of options is one of the things that makes a rookie like me sweat. The truth is that it will likely take a mix of 2-3 things to satisfy your school’s need for financial support. So how to decide? Using your schools creed or values as a barometer for selection is the best way to decide which fundraisers are best for your school. If your school is distinguished for achievement in reading, hold a book fair! If your school is proud to offer the only arts program in the district, put your kids work on display at an art auction. Does your school have a commitment to improve student nutrition? Produce and sell a cookbook! 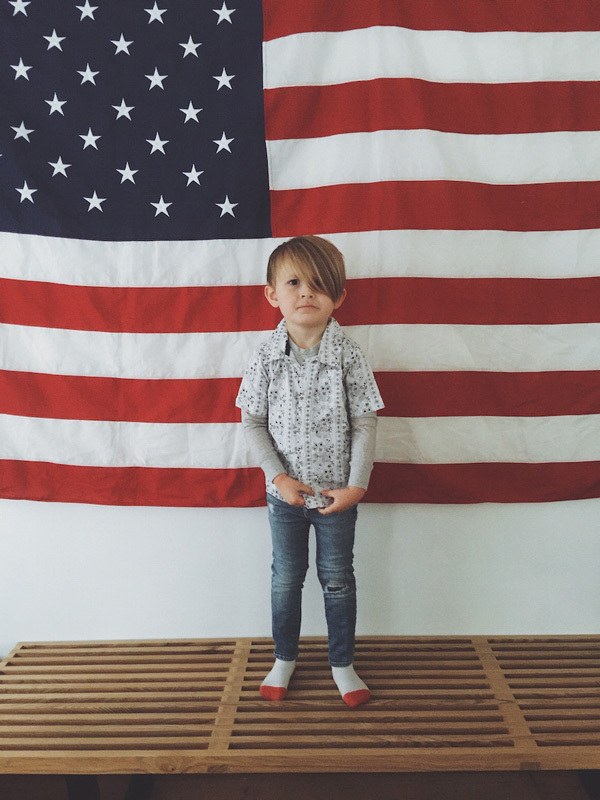 School pride around your specific culture is a great way to motivate kids and parents alike to help reach a goal. It is likely that these special and distinguished programs already have their own staff of people invested in continuing their future – hello, ready made event committee! In addition, there are parents who probably chose your school based on these special characteristics and are therefore more likely to get involved to keep them alive. For that reason, you should always be specific in your request for parent involvement and provide a visible tracking system that shows how far away you are from your goal – IE: We need to sell 450 cookbooks to fund this year’s chef program – that’s 2 per student – let’s do this! Community – the most successful fundraisers will allow for reach outside of just your parent community. Casting your net wider than just the busy parents on your PTA roster will lessen the burden on crazed parents, and allow you to tap into the spending power of doting grandparents and friends. Raffles are a great way to extend participation because many can be hosted online, and therefore open up your possible audience to friends and families of schools, not just people who attend a live event. Your community can also be a great source of raffle prizes – businesses in the area will likely want to generate new business by offering gift certificates to your community. You can even support the businesses of families in your school by offering them advertising in exchange for raffle prizes. In addition, many larger organizations offer FREE raffle prizes for public schools that are nonprofits: for instance Disneyland donates 4 tickets to a nonprofit every year! My favorite recent trend in fundraising involves hilarious challenges showcasing School Superstars like Principals, Sports Coaches and beloved Teachers. Nothing I’ve seen gets kids more motivated to reach a fundraising goal than the chance to see the somebody get dunked, shaved, or put to the test. Yes, you can even bring in a professional basketball team to play against your teachers and watch hilarity and school spirit erupt on your home turf! I’m all for things that bring families together to giggle and have a great time at school. Convenience – Provide easy, everyday ways for parents to support the school. Big events such as fun runs and raffles require a lot of manpower, and they only happen a few times a year, and not every family can attend due to vacations, work, etc. Allow for easy donations to a general fund. Friends and family who have gone Paleo or are practicing Kon-Mari may not want to buy wrapping paper or cookie dough, but are happy to provide the $10 they would have spent on that well-meaning clutter directly to the school’s bank account. Make it easy for every well-meaning supporter to give at their convenience! Many employers offer matching, which often makes this the most impactful way to give. Paypal offers tools for accepting donations and dealing with matching so it’s more seamless than it seems. Provide non-monetary ways to give. One reason I love Schoola’s approach to fundraising is that it turns household items into cash for schools, and therefore provides ways for families to participate without opening their wallets! 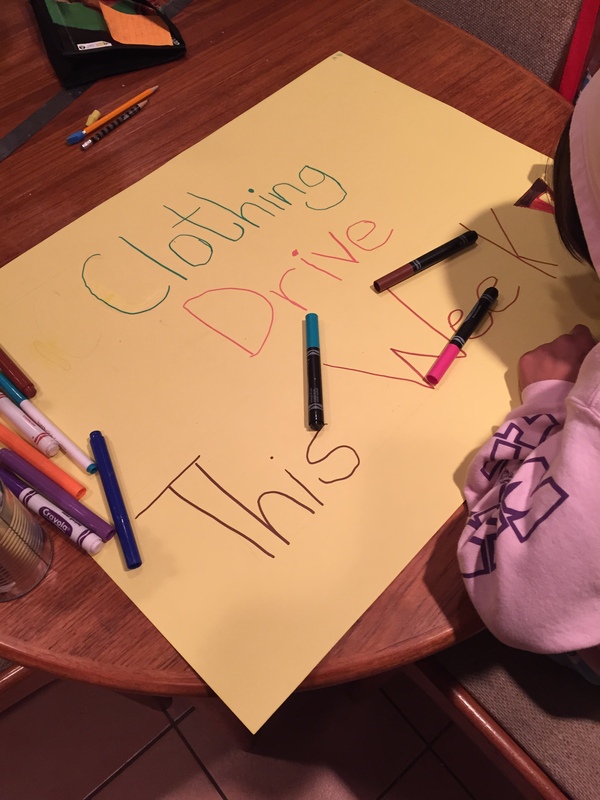 Another benefit Schoola’s clothing drives provide for my school is a teachable moment about reusing and recycling – it’s better for the planet and fits into our core curriculum around creative problem solving. I hope that by now you have deduced that the 3Cs are just shorthand for focusing on the things that strengthen your school experience – I wish each and every reader a successful fundraising year and want to thank you for reading articles like these to try to find the most efficient way to support our kids. Onward! Megan’s favorite school memory is discovering a Peer Counseling program that helped her become a leader in her toughest year of grade-school–when she grew 11 inches in 12 months, and moved / changed schools as a 5’8” fifth-grader. Now she is a mom of two Bay Area babes, and spends the workweek helping more parents find and leverage Schoola to fund their school programs. Halloween is a fun and exciting time of year, especially for kids, but it can also break the bank and take a lot of time. The 5 easy costume ideas below will help you transform everyday clothes into awesome Halloween costumes. Drawing inspiration from the beloved children’s book character Madeline (above), grab a blue dress and start from there, embellishing with a straw hat and a bright red ribbon tied around the neck. 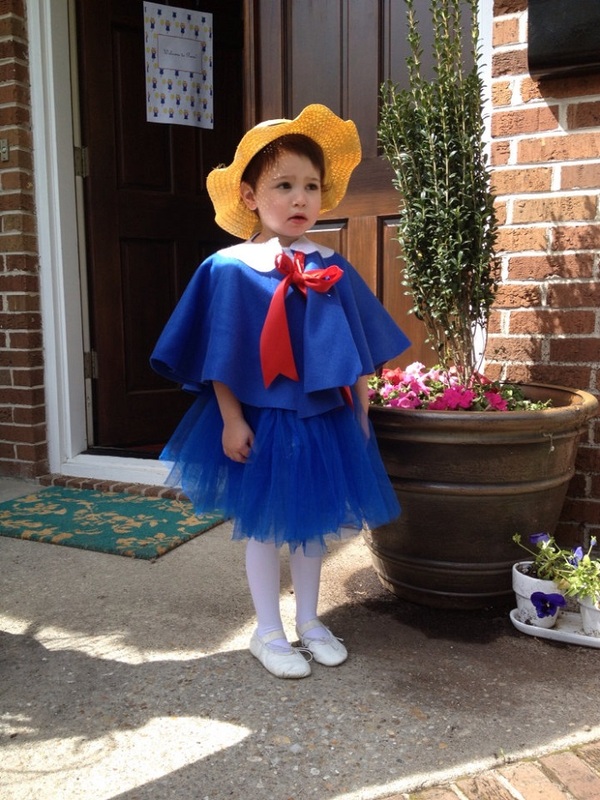 Your little one will be transformed into her favorite storybook character in no time. Starting with a basic white top or dress you can make a variety of fun costumes. 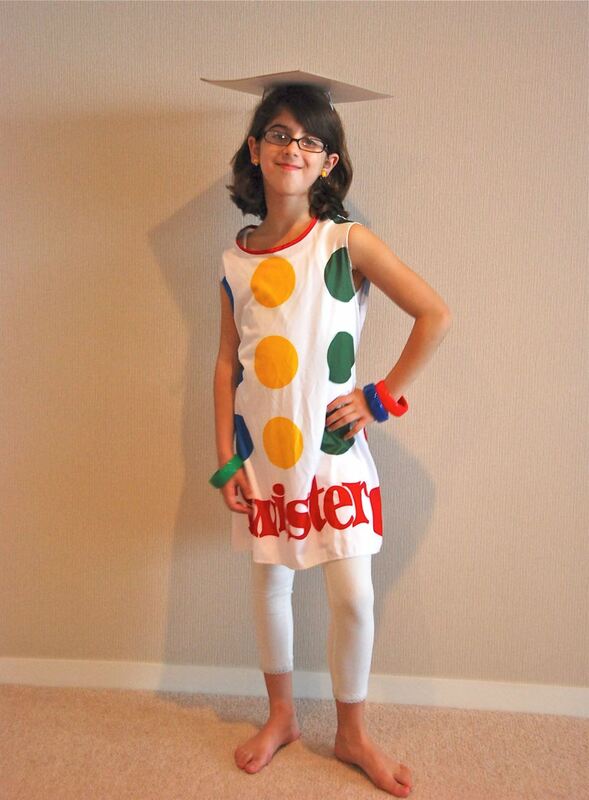 The Twister costume above is a great example: grab a white ensemble and cut out green, yellow, and red construction paper circles, hot glue them to your top and voila, you’ve got a fun costume. Bonus points if you have a Twister board that you can glue to a headband to make a cute hat. 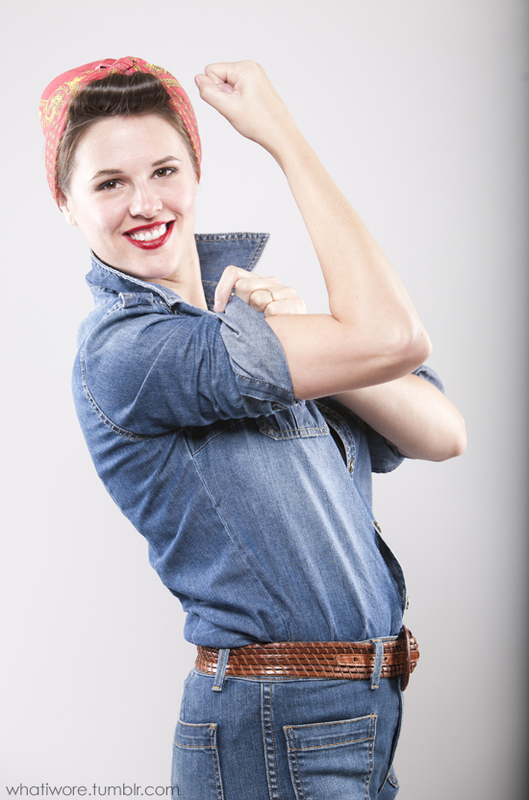 To channel the iconic Rosie the Riveter, grab a blue button down and a pair of jeans. Any red bandana will work to top off your outfit. Is your child the quiet type? 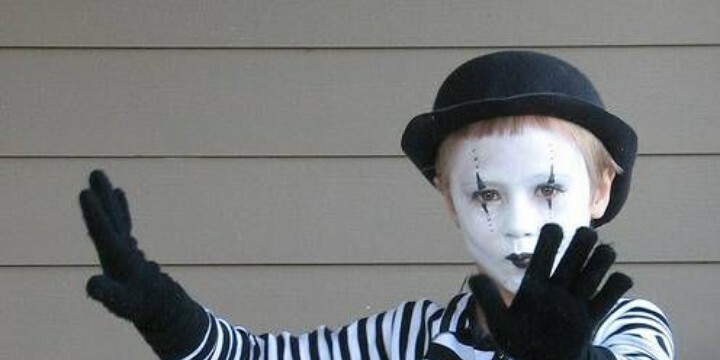 If so, a mime costume might be just the ticket. Grab a striped shirt and go. All you’ll need to finish off the look is a little face paint. Want to be scary but not too scary on Halloween? A scarecrow costume will fit the bill. Pull on some overalls, or jeans, and pair with a plaid shirt. You’ll want to accessorize with some straw accents and will get bonus points for sewing patches onto your denim. What are you and your family wearing for Halloween this year? Don’t forget to peruse our whole Halloween collection for costumes and orange and black pieces perfect for the holiday. Share your Halloween costumes with the hashtag #SchoolaStyle and tag us on Facebook, Twitter, or Instagram to earn 25% off. Get the details here. 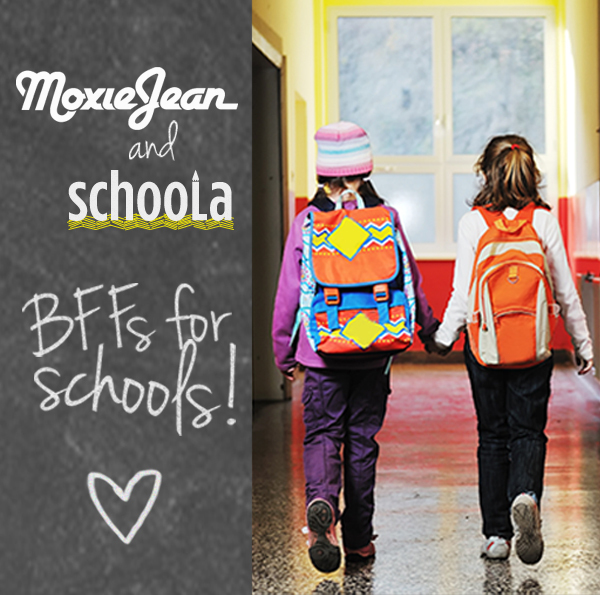 Schoola Joins Forces with Moxie Jean to Deliver Better Brands! Schoola always has thousands of new arrivals daily, and now you can shop the exclusive Moxie Jean collection of top-notch items here. 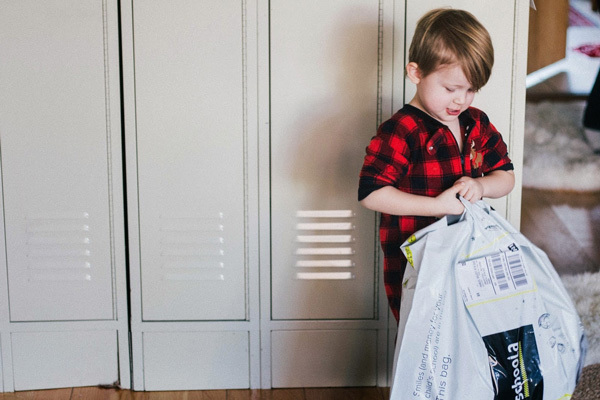 Find a greater selection of better brands like: Ralph Lauren, Gymboree, and Land’s End. 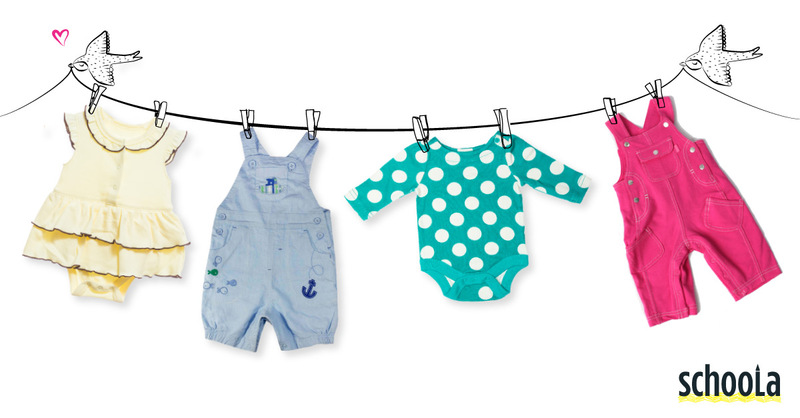 Announcing a new addition to the Schoola family: we’re now offering baby clothes in sizes 0-24 months. 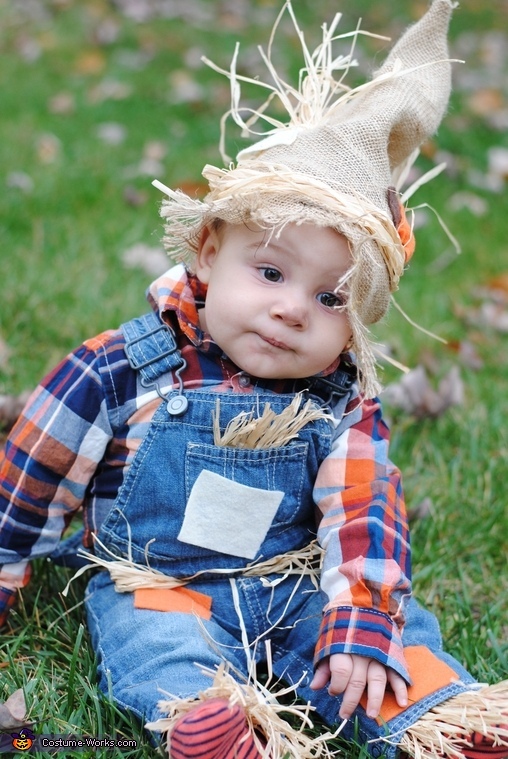 Check out the full assortment of oh-so-cute infant attire here. Not quite ready to dress a baby, but ready to outfit your growing bump? We now have a wider range of maternity clothes just for you. A few weeks ago we welcomed Moxie Jean founder, Sharon, to our office where she chatted with Schoola founder, Stacey, about the transition. Sharon is particularly excited to work with us to help kids across the country reach their full potential at school–she’s a mother of three and her husband is a teacher, so the mission hits close to home. You can view the full video below. To learn more about the transition and read answers to the more nitty-gritty questions, please refer to our FAQ. 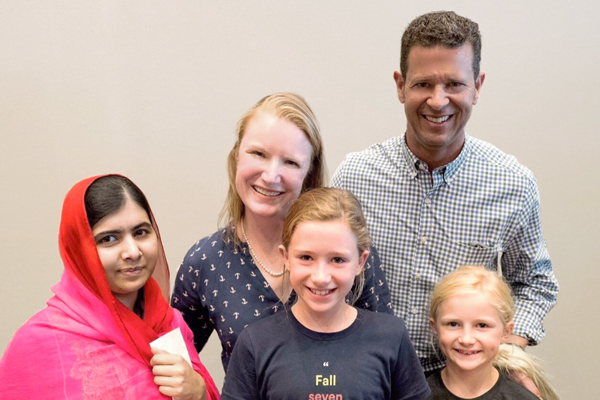 Schoola founder Stacey Boyd and her family with Malala. Last week I dropped off my two girls at school. For days leading up to school starting both of them were giddy. My youngest, a second grader, was looking forward to seeing her best friend, and jumping back into math class and PE. And my eldest, who is now a fifth grader, could not wait to see friends, audition for the school play, and figure out who her teachers would be for each subject. While I shared their enthusiasm, and truly reveled in it, I am always a bit sad and wistful on the first day of school too. Part of that is knowing another carefree summer has come and gone. Part of that is lamenting the passage of time and how quickly their childhood is passing. But in dropping them off, I am always confident that they are not only safe in their schools, but are nurtured, challenged, and shaped by the teachers and classmates around them. I am exceedingly grateful to be able to experience this sense of security, community, and promise when I entrust my girls to their school every morning. I am well aware that this is not the case for every child their age. Early on in my career I founded a charter school in the urban center of Boston. The middle school was as diverse as the city, with many students coming from less stable or fortunate family backgrounds. A third of our students were 3-5 years below grade level when they started with us. Many were on free and reduced lunch. Yet irrespective of background I would see students simply come alive as a result of being in a safe environment and challenged academically and socially in school. Our family recently had the opportunity to meet Malala Yousafzai and hear her speak about the challenges facing girls from her home country, not that far off in age from my own daughters, many of whom do not have access to education at all. Malala, now 18 years old, was shot in the head by the Taliban at age 14 for speaking out for her own right to an education. She speaks so passionately about the challenges she and many girls face in gaining access to education, and why she is leading a movement to change that. While my two girls are only just beginning their educational journey, 66 million girls in the world are not in school. And the world’s poorest girls, if they go to school at all, only receive an average of three years of education. Total. Many girls have parents who can not afford to send them to school. Others face violence and harassment that prevent them from getting to school in the first place. Malala embodies the perseverance, grace and fortitude that is required to overcome these challenges, and I for one, stand #withMalala on the simple assertion that every girl deserves access to a safe and quality education. But what can we do? While it is tempting to ease into the school year feeling content (albeit a little wistful) in our own return to normalcy, I think we must challenge ourselves to expand our awareness beyond our own comfortable classrooms, and connect with a greater community of school-age girls. I urge parents to take their kids to see the film He Named Me Malala. Once you have heard Malala’s story as I have, you can’t help but exit the theater with a strong desire to stand #withMalala and work toward safe, quality education for all girls. Schoola was founded in order to help children reach their full potential at school, so we are honored to help share Malala’s story and mission. This fall, Schoola will send 5,000 students to see the film in partnership with the Students Stand #withMalala program. In addition, we will be accepting clothing donations on behalf of the Malala Fund starting today, with the goal of raising hundreds of thousands of dollars for her foundation through sales of the items on Schoola.com. I’d like to invite you to take a small step to show your support for Malala today: request a donation bag and clean out your closet to support this incredible young woman with a powerful mission. Stay tuned for more information regarding how Schoola and several of our partners are working together to help Malala in her goal to educate girls around the globe. Stacey Boyd founded Schoola based on her experience as a former teacher, charter school founder, and a mother of two girls. She saw firsthand how kids who were struggling academically could come alive in a music class, and how art, physical education, and foreign language could have a profound effect on students. She leads Schoola’s team to ensure that these foundational school experiences don’t disappear from our schools due to lack of funding. 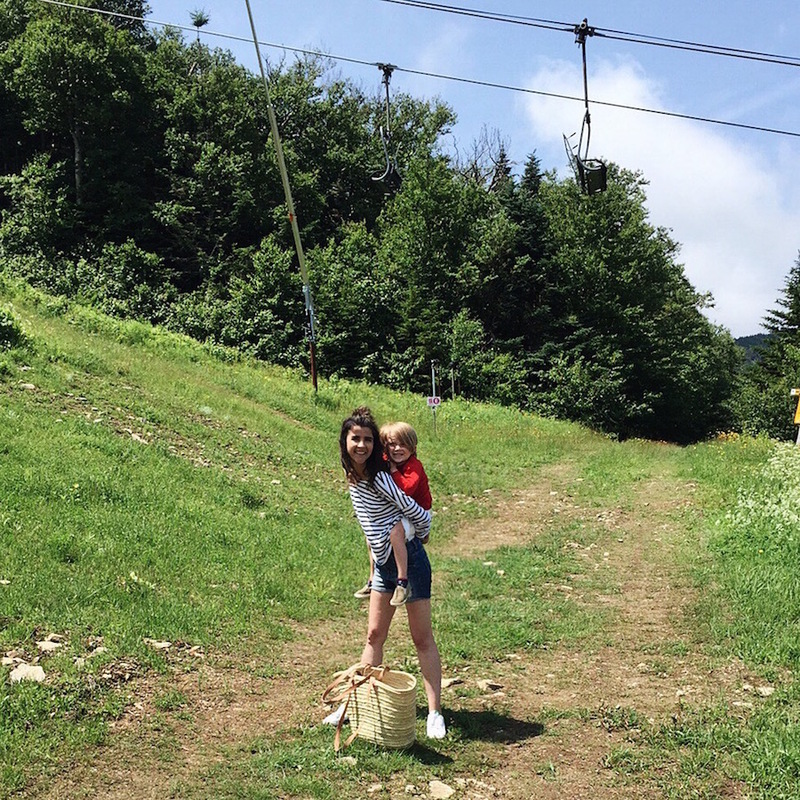 When it comes to style inspiration we turn to blogger Hey Natalie Jean, mother of Huck and author of a self-titled book about marriage, motherhood, and style. Natalie has fun dressing herself and her son in a signature style that’s simultaneously put together and laid back. Perhaps part of her sartorial inspiration comes from her recent relocation from Brooklyn, New York to Moscow, Idaho where she and her husband and son now live. Tell us a little bit about your Schoola collection. What’s your style inspiration for fall and why? This fall I’ve been really inspired by our new Idaho lifestyle–getting up early to feed the chickens, biking the boy to school in the mornings when it’s chilly and brisk out, then coming home and watching the boy play hard in the dirt and grass. I’m gravitating toward the kinds of classics that do the work to keep the boy warm and show as little mess as possible. 🙂 Plaids, flannels, denims, classic shirts that can be buttoned up to look presentable or worn open and loose to provide an easily removable extra layer of warmth. You recently moved from Brooklyn, New York to Moscow, Idaho with your family. What has been the biggest change for you? Needing a car and not having one! In Brooklyn a car is a huge pain, and getting around on foot or public transportation is a breeze. Out here, I just really need a car. We’ve been scouring Craigslist for a beat up old pick up truck–not only do I need wheels to haul myself, I also need wheels that can haul junk from our property to the dump! It’s just a complete 180 from our old lifestyle. It’s kind of hysterical. What’s your number 1 parenting tip? If they’re happy, let it go. I’ve used this a million times since Huck was born. If he’s happy banging that spoon into that pan, let it go. If he’s happy skipping naps, let it go. If he’s happy playing in the mud getting completely filthy, or eating peanut butter sandwiches for every meal, let it go! Let them be happy and don’t worry about being overly structured, or strict, or about all the “shoulds” we tend to fill our brains with. Do you have a childhood memory from school that you think really made you the grownup you are today? When I was in the first grade I remember missing my mother so desperately during the school day, and feeling a lot of angst in the mornings about getting ready for the day and making it to school on time. With Huck, he’s so sociable and gregarious, but every now and then he gets that same little misty-eyed look in his eye and tells me he’s concerned about leaving me for the day, and I just remember that feeling so clearly! It’s changed the way I handle our mornings. Instead of rushing him out, or telling him he’ll be fine and sweeping it under the rug, we’ll stop and have a few minutes together to talk about his feelings, to reassure him of his options, and to let him find his confidence before scooting him off to school for the day. It’s not really his decision whether or not he goes to school, haha, but I work hard to let him feel like it is. I want him to feel ownership of his experience, in small ways that I didn’t feel that I had. I’m sure it will make no difference in the long run for Huck, hah, and I remember reading once that a lot of our parenting decisions really have more to do with ourselves than with our kids, but it goes a long way toward making ME feel good, anyway :). Now that you know a little more about the mama behind Hey Natalie Jean, take a moment to peruse her collection and check out her blog. Join the #WhyISchoola Movement & Win! Schoola Welcomes 60 Schools to the Millennium Club!